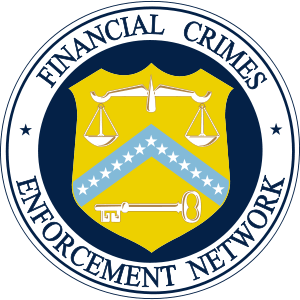 WASHINGTON — The Internal Revenue Service and the Financial Crimes Enforcement Network (FinCEN) today announced that a small subset of individuals with only signature authority required to file the Report of Foreign Bank and Financial Accounts (FBARs) will receive a one-year extension beyond the upcoming filing date of June 30, 2011. An employee or officer of a covered entity who has signature or other authority over and no financial interest in a foreign financial account of another entity more than 50 percent owned, directly or indirectly, by the entity (a “controlled person”). An employee or officer of a controlled person of a covered entity who has signature or other authority over and no financial interest in a foreign financial account of the entity or another controlled person of the entity. All other U.S. persons required to file an FBAR this year are required to meet the June 30, 2011, filing date. Unlike with federal income tax returns, extensions of time to file are not available. Today’s notice was issued to facilitate more accurate compliance of FBAR filings in the wake of recent finalization of regulations. The FBAR filing requirements, authorized under one of the original provisions of the Bank Secrecy Act, have been in place since 1972. On Feb. 24, 2011, FinCEN published a final rule that amended the Bank Secrecy Act regarding FBARs. The FBAR form is used to report a financial interest in, or signature or other authority over, one or more financial accounts in foreign countries. U.S. persons are required to file FBARs Form TD F 90-22.1 annually if they have a financial interest in or signature authority over financial accounts, including bank, securities or other types of financial accounts, in a foreign country, if the aggregate value of these financial accounts exceeds $10,000 at any time during the calendar year. By Stacie Clifford Kitts in FBAR, FOREIGN BANK ACCOUNT REPORTING, FOREIGN REPORTING, FORMS, IRS, IRS PATROL on May 31, 2011 .